According to Wikipedia, entropy is the randomness collected by an operating system or application for use in cryptography or other uses that require random data. Entropy is often overlooked, misconfigured or forgotten and it can originate in sporadic errors whether it can be timeouts, refused connections, etc. Such errors are difficult to debug as the errors happen only when there is not enough entropy available. This article tries to explain briefly how to check if this can be a problem in a RHEL system and how to fix it. NOTE: This article is meant to provide some helpful hints about entropy. It is not meant to be exhaustive or definitive. There are hundreds of information sources on the Internet such as KCS articles; https://access.redhat.com/articles/221583 and https://access.redhat.com/solutions/19866 where this article is based. Check the bibliography section for more information. What is entropy and why is important? Many processes generate certificates, keys, IDs, etc., so they need a random source to avoid generating those assets in a predictable way. They serve as pseudorandom number generators as they access environmental noise collected from device drivers and other sources like mouse movement and keyboarding. The kernel random number generator (RNG) constantly estimates the number of bits of noise in the entropy pool and when processes read from /dev/random, the kernel only returns random bytes within this estimate — that is, the read will block until the kernel estimates that there’s enough randomness in the RNG to feed out another byte. The /dev/urandom device gets its data from the kernel RNG just like /dev/random; however, it doesn’t pay any attention to the available entropy estimate–think “u” for “unlocked” (i.e., doesn’t lock/block). So, when applications request data from /dev/urandom, the kernel starts feeding out random bytes and the entropy_avail value starts dropping, but unlike with /dev/random, the kernel keeps returning bytes after the estimated number of bits in the entropy pool drops below a certain point. There’s no waiting for the additional environmental noise to be integrated into the entropy pool. NOTE: There are hundreds of articles speaking about /dev/random vs. /dev/urandom so it won’t be covered in this article. Where in workstations with mouse and keyboards the entropy shouldn’t be a problem, in headless systems like cloud instances it can be more complicated and dependent on the hardware where the instances are running. The consensus is that numbers below 1000 will lead to processes blocking waiting for more entropy. This is free software; see the source for copying conditions. There is NO warranty; not even for MERCHANTABILITY or FITNESS FOR A PARTICULAR PURPOSE. While in a host with low entropy it can take minutes. The entropy sources in cloud instances are very dependent on the provider of choice where the instance is running but there are some methods to try to improve it. Some system/motherboard chipsets include hardware random number generator devices. The kernel includes drivers like amd-rng and intel-rng to support these devices. Add-on hardware random number generators (hardware-based entropy tools) are available as well. However, to use a hardware random number generator within a cloud environment is a challenge, as it will require 1:1 mapping from instances to hardware random number generators connected to the hypervisors. There are certain processors that include a random number generator, which the kernel uses to generate entropy with the processor instructions RDRAND and RDSEED. If available, it can be used by the instances as well as will be explained in this article later. Within a KVM virtual machine (RHEL KVM, RHEV, Red Hat OpenStack) a RHEL 7 hypervisor can provide a paravirtual random device to a RHEL6 or RHEL7 guest, this paravirtual device draws from the hypervisor’s true hardware entropy source. This is discussed in greater detail on the RHEL Blog at Red Hat Enterprise Linux Virtual Machines: Access to Random Numbers Made Easy. 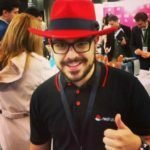 There are certain cloud providers like OpenStack where even if they are KVM based, they need specific configuration to share entropy with the instances like https://access.redhat.com/solutions/2529281. WARNING: This method is potentially insecure and should only be used when no other source of entropy can be supplied and the application being configured is hard-coded to use /dev/random device. The idea of this method is to use /dev/urandom as an entropy source for /dev/random and it will be explained later. In this example, rngd output can be evaluated as there isn’t a hardware generator but there is a DRNG entropy source. The rngd service will check and feed random data from the hardware device to kernel entropy pool automatically. Check the available entropy after starting the rngd service and observe the difference! WARNING: Seeding /dev/random with data derived from /dev/urandom plays a trick on the system – the entropy_avail reported will increase, but the real entropy is actually decreasing. A software-only random number generator like rngd is not a proper substitute for a good hardware random number generator. Do not use rngd in this fashion unless you understand and accept this difference. Entropy should be taken into account when running instances in cloud environments as it can be a source of strange errors. Check the cloud provider’s official documentation to learn how to ensure entropy is not going to be a problem for your instances.